A very rich piece of Cascade Canyon ruby. I collected this the second time I went there. I normally wouldn't photograph a specimen before I felt it was prepared. However, the fluorescent photos are representative enough and show just how much ruby is in this piece. 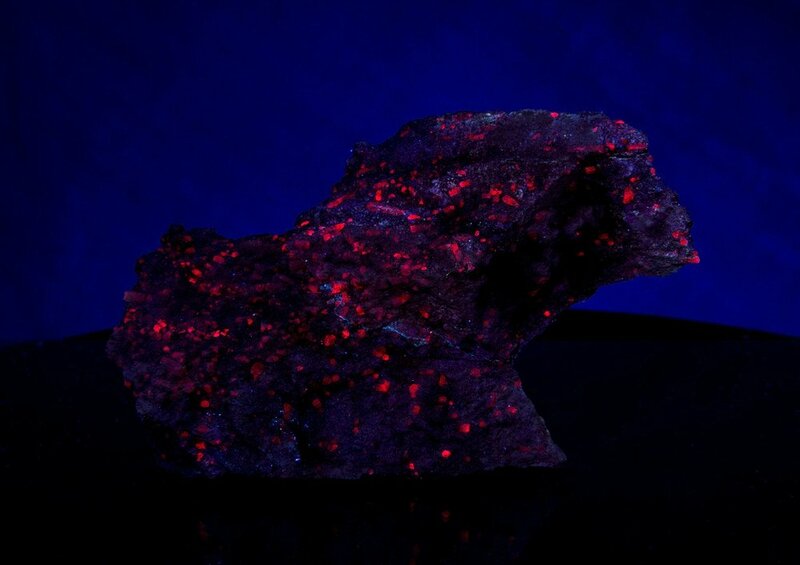 Still on my list of to-dos for this specimen are to media blast it so that the rubies are fully exposed and hence their full fluorescent response can be seen. It's very low on my to-do list though. Specimen has been repaired.